"Black Walnut tree on the campus mall, 1997" by L. Michael Hill Ph.D. 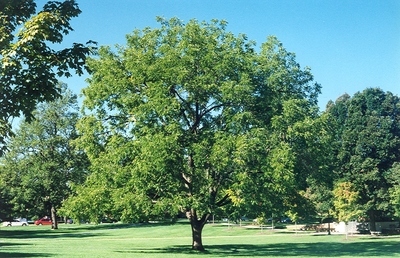 The College Mall has a Black Walnut tree, Juglans nigra (Juglandaceae). The Alexander Mack Memorial Library is under the trees to the right. Note the young maple and ash trees in front of the Library, about 1997.